Little game done in two days for a linux jam!! I added some features and windows exes a week later. You must to kill the ghost of the haunted mansion to get ammo, weapons and health. To break crates are very useful to get stuff. Soooo fun! I played for half an hour and I really enjoyed! Great work Nahuel, as always! Thinking you did in 2 days, it's even more incredible! 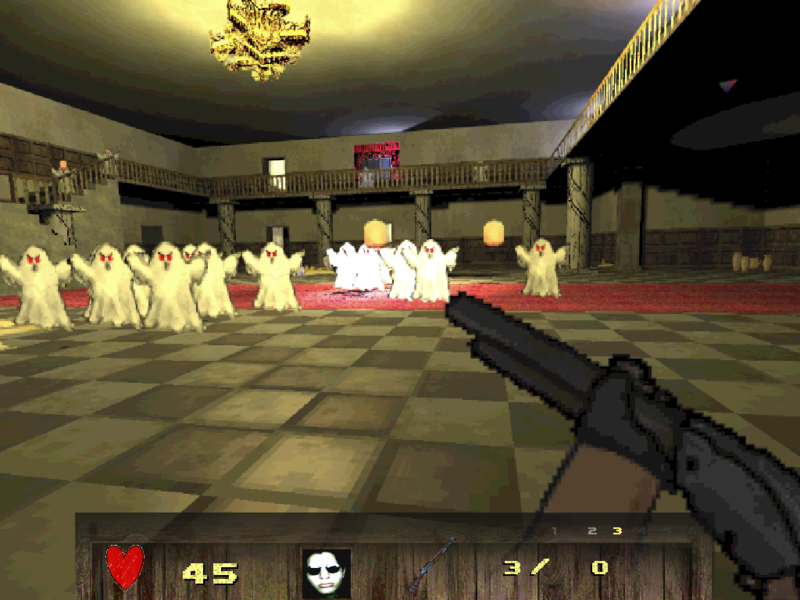 I like the idea that ghosts are physical entities you can shoot, it's very creative imo! You even added more classes of ghost! I'd just fix firing animation (for pistol, shotgun and machine gun I don't understand if I'm firing or not) and just minor fixes with hud at fullHD resolution but, except for that, it's a real fun! I noticed you're making another game called Dark Place, could you talk a little more about it? toneddu2000 wrote: Soooo fun! I played for half an hour and I really enjoyed! Great work Nahuel, as always! Thinking you did in 2 days, it's even more incredible! 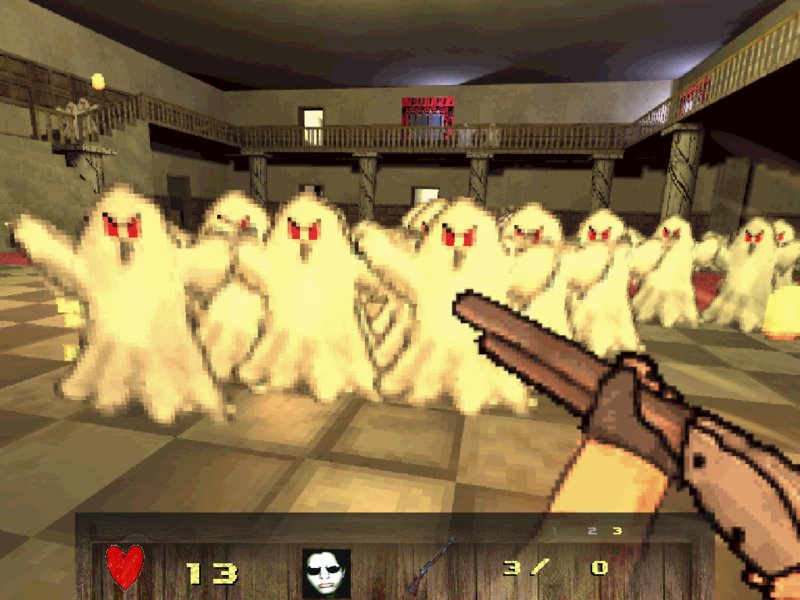 I like the idea that ghosts are physical entities you can shoot, it's very creative imo! You even added more classes of ghost! I'd just fix firing animation (for pistol, shotgun and machine gun I don't understand if I'm firing or not) and just minor fixes with hud at fullHD resolution but, except for that, it's a real fun! thank you!! hud glitch is already a menu.dat code error i did, i need to fix it!! toneddu2000 wrote: I noticed you're making another game called Dark Place, could you talk a little more about it? the project was canceled.. The lack of proper documentation was fatal. So we left it all as a tech demo, if anyone found it useful. Nahuel wrote: hud glitch is already a menu.dat code error i did, i need to fix it!! Have you considered to create hud and menu sdirectly in CSQC? Probably just shot recoil effect and more impact effect on ghosts and it's perfect. Oh my, 2 days..incredible! Does it exist a global score? I mean, there's the possibility to access to a global ranking on a server? That was an idea I had a lot of time ago and I wonder if it would have been cool. Well, playing your game I've no doubt: it's definately cool! Nahuel wrote: the project was canceled.. The lack of proper documentation was fatal. So we left it all as a tech demo, if anyone found it useful. Whoa, too bad.. What was the argument that lacks documentation about? i didnt consider it , i think menu.dat is really easy to use, I use csqc for HUD stuff right now. hahhaa thanks!! yeah the game need more feedback to the player!! 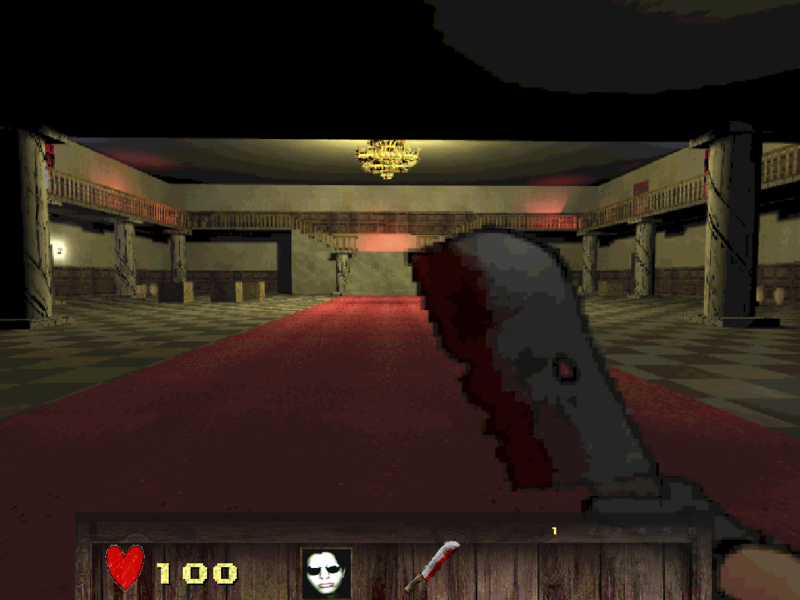 Mansion is fairly inspired by resident evil1 mansion i did the textures using gimp and krita, buy I did draw the textures by hand in gimp, after this i did discover the power of krita to pixel art lame desicion, krita is great!! even for not artist people !!! i did the textures using gimp and krita, buy I did draw the textures by hand in gimp, after this i did discover the power of krita to pixel art lame desicion, krita is great!! even for not artist people !!! Great! even texture creation in so few days! Real great work! Could you make a little tutorial about using Krita? Because I'm very curious about it! Does it exist a global score? I mean, there's the possibility to access to a global ranking on a server? you're better off using uri_get which does exist in both fte+dp, with any sql access happening inside your webserver instead of gameserver. the extra abstraction means you have more control over the actual requests that can be made, instead of someone connecting to your database and just deleting everything. Of course, if someone is willing to spend the time generating http posts then they can spoof any scores they want, so you'll probably still want some private keys of some kind so that you can more easily provide trust in the results at some point. Then again it probably doesn't matter that much anyway, so long as noone destroys your entire sql database. yay http-based gateways. Real great work! Could you make a little tutorial about using Krita? Because I'm very curious about it! Did you use a graphic pen tablet to draw The Mansion textures?